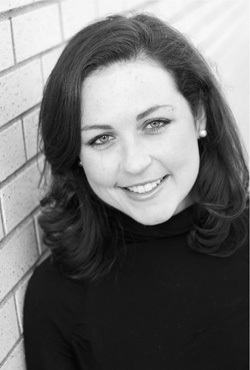 Originally from Woodstock, Ontario, mezzo-soprano Charlotte Burrage holds a master of music in voice performance from the University of Toronto and is a graduate of the opera diploma program at University of British Columbia (UBC). Credits include Grimgerde in Die Walküre and Dorabella in Così fan tutte (COC), Hansel in Hansel and Gretel (Vancouver Opera in Schools); Dorabella in Così fan tutte (Banff Centre's Opera as Theatre, Jeunesses Musicales); and, La Zia Principessa inSuor Angelica and the title role in Massenet's Cendrillon(UBC). Burrage performed with the Vancouver Symphony Orchestra under the baton of Arnie Roth and was the alto soloist in the Bach Magnificat, BWV 243 (UBC).